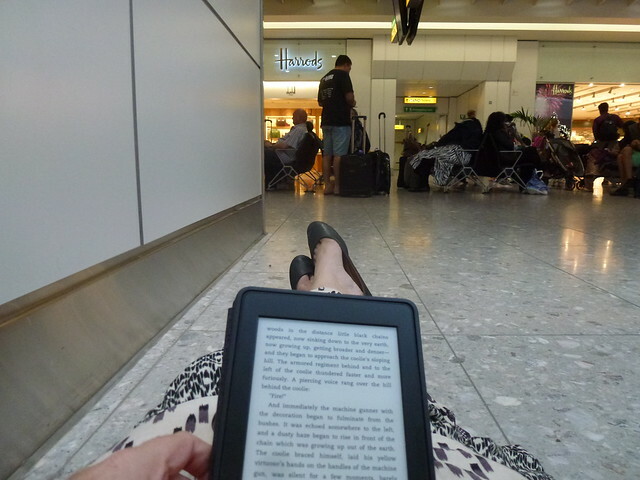 In Heathrow airport for the second time in 36 hours – last time coming, this time going. The less said about this little excursion the better – an unsuccessful visa mission – but it has been very nice to have a day and a half the British summer I keep hearing about, and to have a series of lunches and dinners and coffees with various friends in various places. Signs that one is spending too much time in Mogadishu: sitting out in my friend H’s back garden last night, rich blue dusk, a pair of sky lanterns floated over the rooftops and I immediately flinched, subconsciously assuming very slow-moving tracer bullets. It was very pretty, though, once my heartrate had returned to normal.